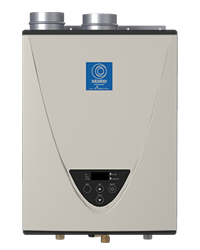 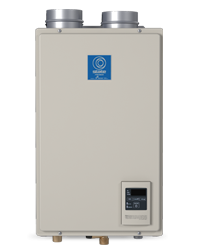 State's Condensing Tankless Gas Water Heaters are available in Residential and Commercial line ranging from 120,000 BTU/h to 199,000 BTU/h with options for natural gas and propane. 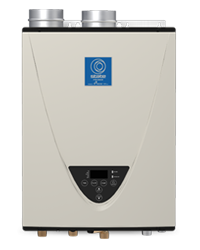 All Residential models are ENERGY STAR® Qualified and utilizes PVC venting. 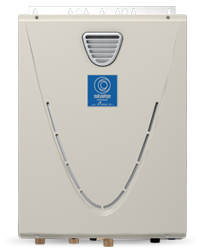 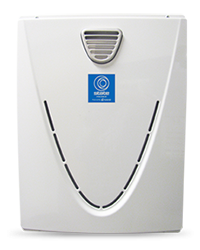 The Primary Heat Exchanger on our tankless gas water heaters is constructed of Commercial-Grade Copper which is more resilient against erosion and is 25x better at heat transfer than stainless steel thus stabilizing outgoing hot water temperatures quicker. 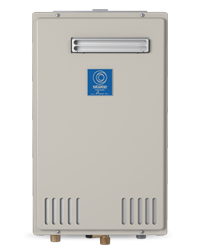 Provides flexible venting with PVC, CPVC, or ABS Pipe for Intake and Exhaust (solid core only).